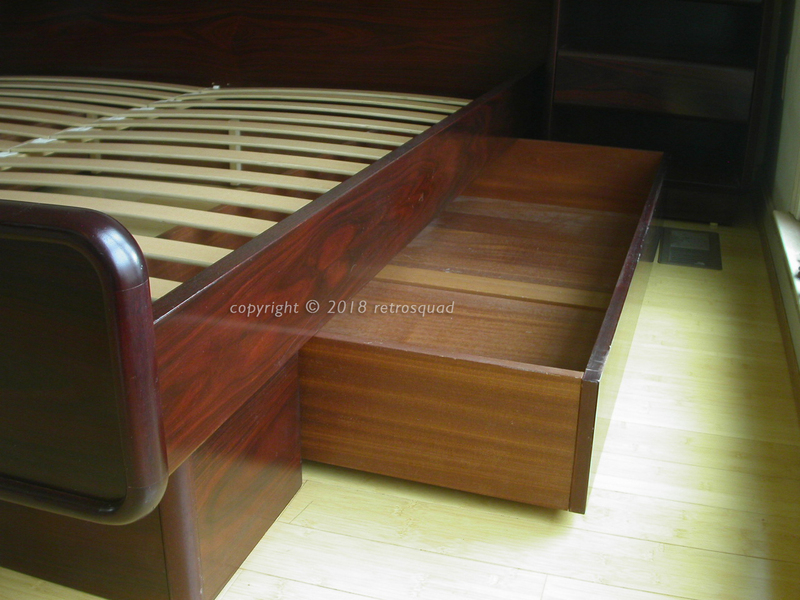 This is a really GREAT Danish Platform bed in Brazilian Rosewood with Nightstands and hard to find under bed storage drawers. 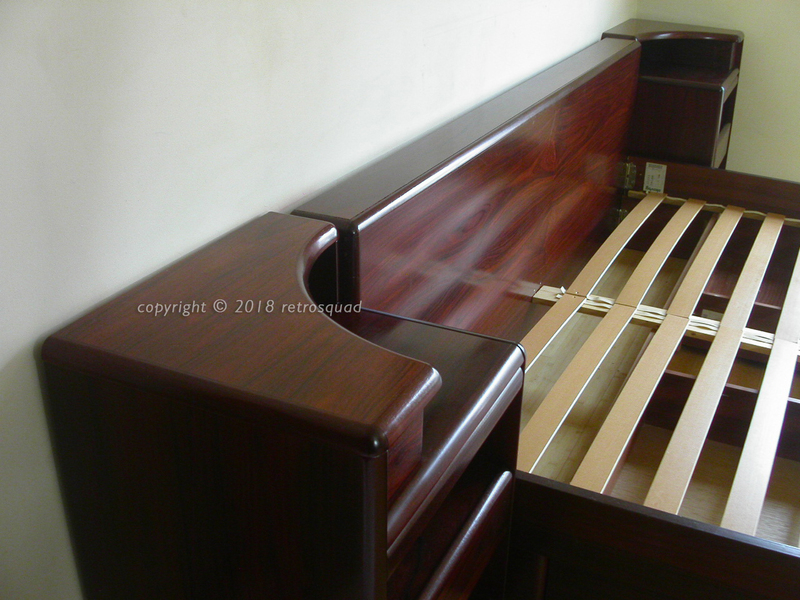 While I have Dressers that match this bed, this listing is for the bed only. 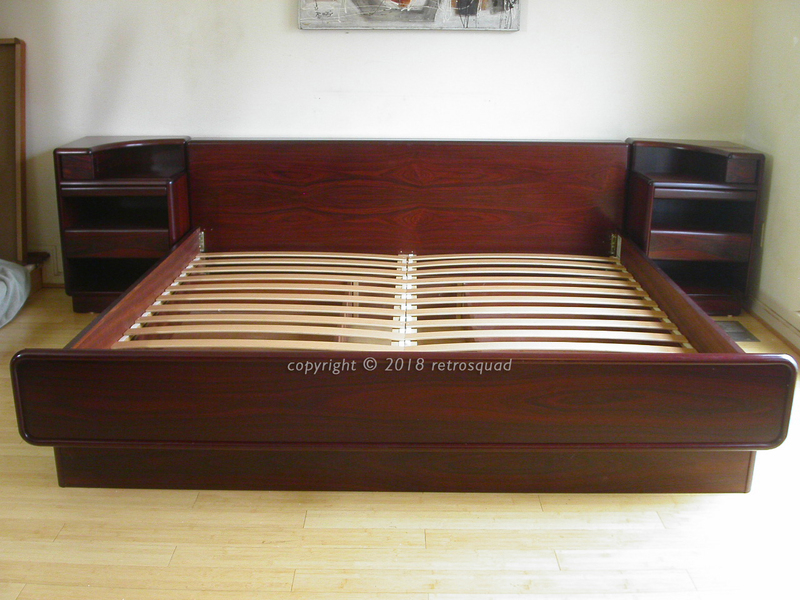 A few yours ago I had this exact same bed and it was labeled Skovby, a company better known for their tables and cabinet pieces. 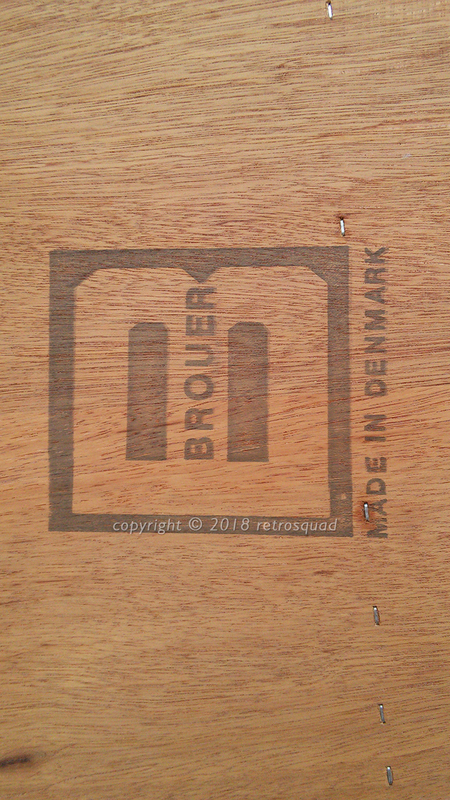 This one is labeled Brouer which is also a well respected Danish furniture company. Many times, several different companies can end up selling the exact same thing because they were made in the same factory and simply labeled for different distributors. 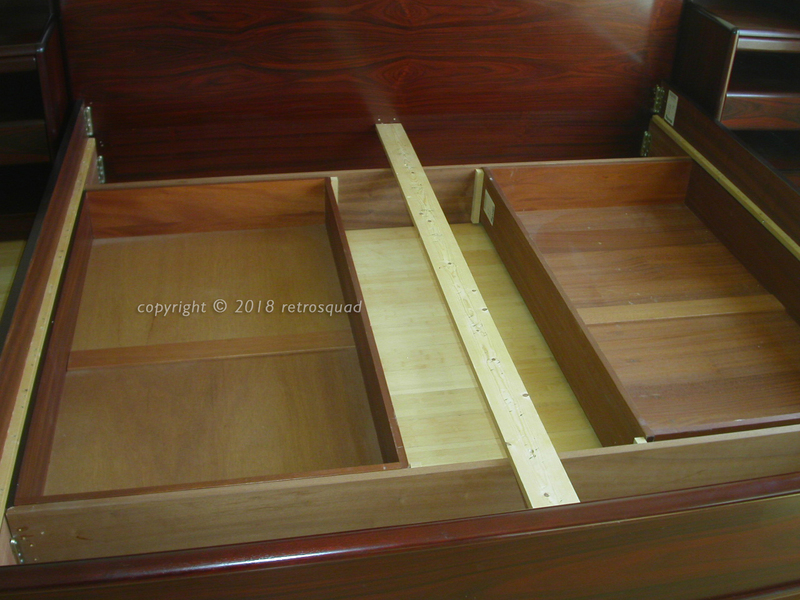 At any rate, a very well made bed with wonderful storage in the nightstands and under-bed drawers. 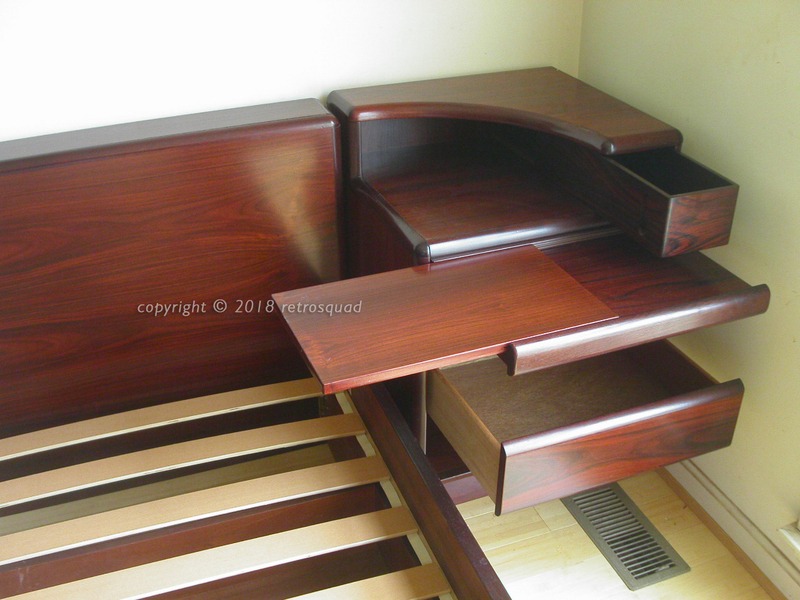 Check out the sliding table top that slides out from the nightstands – perfect for that late night snack? 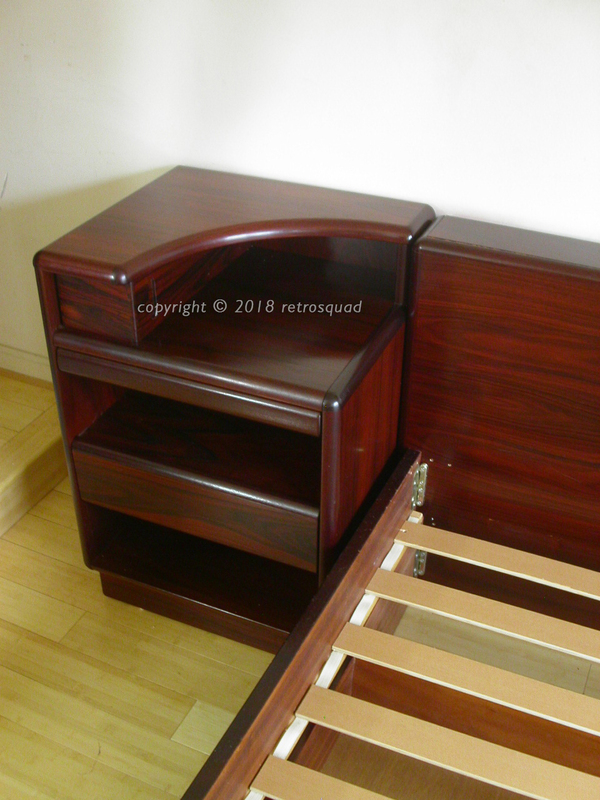 This bed has nice heavy construction all around and is in great condition. Feel free to contact me to discuss any questions or issues you may have. DELIVERY: I can deliver to the DC, North Virginia and Baltimore area for FREE. 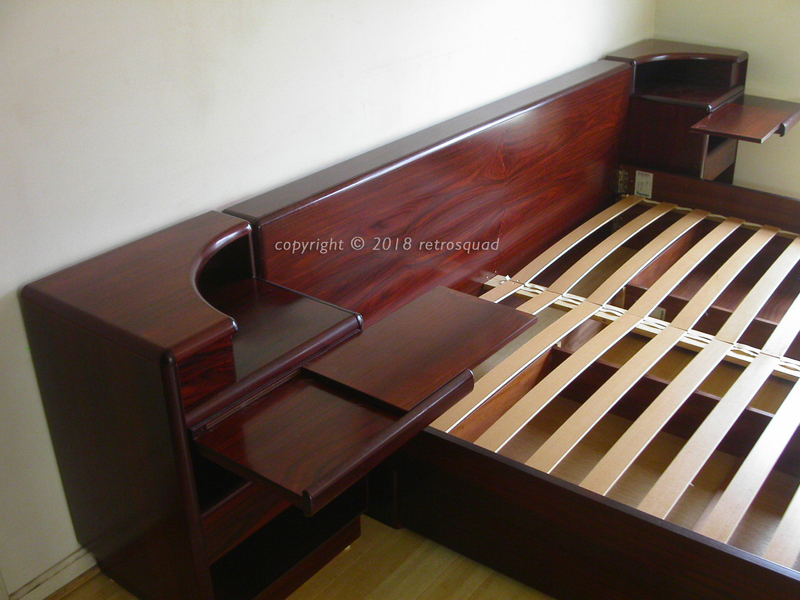 SHIPPING: This bed will be fully disassembled and shipped with one of my fully insured independent truckers. SHIPPING TIMES: While the companies I use off a great service at unbeatable prices, delivery times can be longer than larger more expensive companies. If time is critical for you please contact me to discuss shipping options. 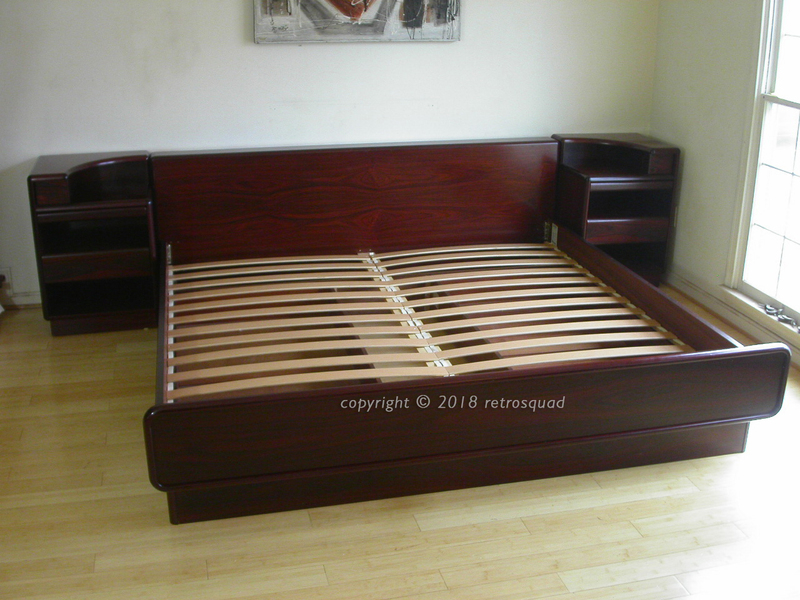 This entry was posted in Bed, Brouer, Furniture, Manufacturers and tagged Brazilian Rosewood, Brouer, Danish Modern, Floating Bed, Floating Night Stands, King Platform Bed by RetroSquad. Bookmark the permalink. 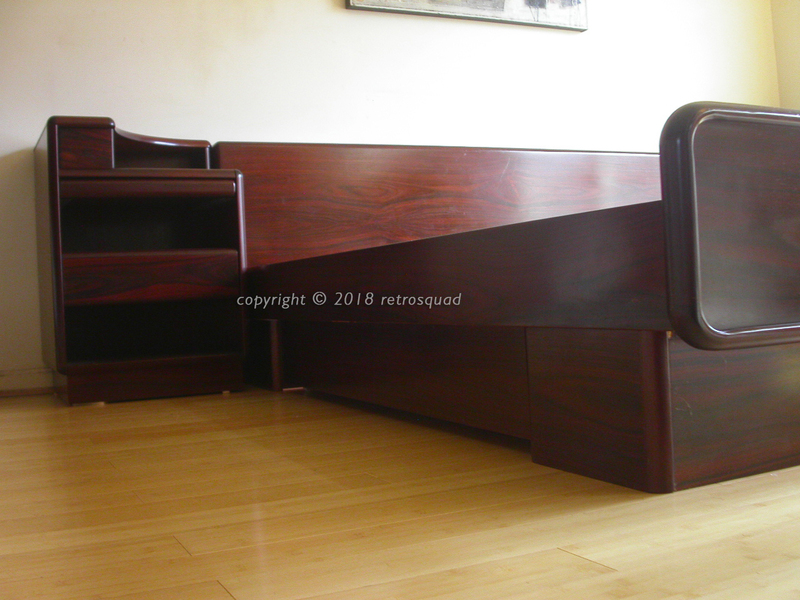 will you sell the nightstands and headboard separately from the platform?